Is There Ever Good News about Health for Post-Menopausal Women? Hmm…I believe so, but it is much less common than we would like. What is the latest blow for ladies who have survived the change of life? Diabetes is as important to your chances of death from heart problems as cardiovascular disease. Yikes. In this study, over 9,200 women aged 68 and over participated to help researchers discover whether diabetes is as dangerous to health in older women as it is in the general population. Guess what? It is. The trend noticed in men and the general population applies to women, as well: women with diabetes have the same risk of death due to cardiovascular problems as do non-diabetic women with a history of cardiovascular disease. In non-epidemiologist terms, what does this mean? It means that if you have diabetes, your ticker is in just as crummy a situation as it is if you’re non-diabetic but you’ve already been told you have cardiovascular disease—and that is pretty bad. Although women rock, we are no exception to the fact that cardiovascular disease is the number one killer of elderly individuals. Even without diagnosed cardiovascular disease, however, diabetic women are just as likely to die of cardiovascular events (like a stroke or a heart attack). Type 2 diabetes is also much more likely to occur in older adults. Diabetes, in turn, increases people’s risk of developing cardiovascular disease. Double whammy. Aren’t You Going to Tell Us Something Positive? Yes. The good news is that many of the risk factors for cardiovascular deaths are largely avoidable. Women can reduce their chances of getting cardiovascular disease and Type 2 diabetes with basic lifestyle changes. What does this mean for you? It means it’s time to get off the couch (or away from the computer!) and onto the court, pavement, or bike path. Although increasing age may give you the authority to step out of the house in mismatched patterns or an outfit entirely made of purple feathers (what good is old age without a bit of eccentricity? ), it does not give you the go-ahead to stop taking care of your health. What is an aging woman to do? The single best thing you can do for your health (and for reducing your risk of diabetes and cardiovascular disease) is to get some exercise. I recommend about 30 minutes of moderate physical activity—like brisk walking, swimming, cross-country skiing, or biking—every single day. If that is simply not possible, aim for this amount of physical activity about five days each week. If you have physical limitations, like aching joints or COPD, ask a physician about safe and gentle forms of exercise. Water aerobics, stationary biking, and ballroom dancing may be excellent options for women who are unaccustomed to physical activity. Who doesn’t love a post-menopausal hottie who can do the Foxtrot? Begin gradually, and work your way up to a more intense routine over several weeks. Secondly, remind yourself that a healthy, balanced diet is essential to reducing your risk for both of these conditions. Aim to fill half of your plate at each meal with fresh vegetables or fruit. The other half should be split between lean protein (like chicken or fish) and a complex carbohydrate (like a sweet potato, brown rice, or whole grain pasta). Opt for water instead of soda, and keep portions under control. Pretend like you’re already diabetic and follow a diabetic diet and lifestyle to reduce your risk. Overall, a large waist is a major factor in your chances of developing heart disease or diabetes (or both). 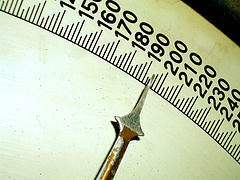 After menopause, most women need fewer calories per day to maintain their weight. Keeping your physical activity levels up and your diet in check can help you avoid women’s most deadly post-menopausal foes: diabetes and cardiovascular disease. You can do it! Katie Brind’Amour is a Certified Health Education Specialist and freelance health and wellness writer. She enjoys blogging about friendship and life in the not-so-fast line while she chips away at her PhD in Health Services Management and Policy. She is also certified in Mental Health First Aid and enjoys helping others achieve the full potential of their life and health. As we turn the corner and head full speed at the holiday season, many menopausal women have an additional burden to carry along with their never-ending quest to make the season bright and cheery. They have to fight their own body’s attempt at sabotage. By now some of you have already surmised where I’m going with this. As a fairly typical menopausal woman I recently had a saliva test to measure my cortisol level and the function of my adrenal glands. Guess what? They were through the floorboards and I was told I needed to start taking steroids to jump start them. The problem was I’d been trying to lose some weight. It had been a slow process but it had been working. Once I started the steroids, the weight loss stopped. Then I went to my GP and he decided it was imperative I drop a few pounds. He wants to see me in January. This is NOT a recipe for success! I think he does it on purpose so it will ruin my entire holiday season – which for me includes my birthday and my anniversary. Unfortunately for menopausal women everywhere – I don’t think my story is rare. I am left with a choice: ruin my entire holiday season and shun holiday festivities in order to diet drastically or sacrifice my health. Is there no happy medium?